The Reserve of 32 acres (13 hectares) in the lower Rhymney valley Penylan, Cardiff and is only a mile and a half from Cardiff City centre. It is a wildlife oasis of woodland, wildflower meadow, ponds and reedbeds. Remarkably the reserve was a domestic refuse tip in the early 1970's. Although a large proportion of the site had been used as a landfill site, much of the relict estuarine vegetation still exists and forms a major feature within the Reserve. The Friends' Group formed in 1989, by an enthusiastic group of local residents, work with Cardiff County Council to further improve the Reserve. Works continue today to develop Howardian LNR for its wildlife interest and public enjoyment. A good network of paths now weave between the great variety of habitats that are packed with interesting flora and fauna. Interesting plants include Bee, Common Spotted, Southern Marsh and Butterfly Orchids, Twayblade, Broad-leaved Helleborine, Grass Vetchling and Celery-leaved Buttercup. A comprehensive network of paths run throughout the Reserve. 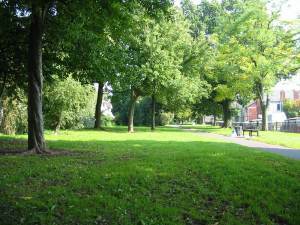 Paths are a mixture of stonedust or grassed/bare ground. Some sections can be narrow and involve short gradients. To help you plan your visit you can find local Cardiff weather on the . By foot - Two entrances to the Reserve are located alongside the David Lloyd Leisure Centre on Ipswich Road close to Newport Road where there are a range of leisure and retail facilities. The other entrance, on Hammond Way, is next to Colchester Avenue Allotments, The Howardian Education Centre and UWIC on Colchester Avenue are nearby. By bus - Howardian LNR is within easy walking distance of bus routes stopping on Colchester Avenue and Newport Road. Details of regular bus routes can be found at www.cardiffbus.com. Cardiff Bus routes 1/2 (Canton - Heath Hospital - Albany Road - Tremorfa) and 101/102 (Central Station - Ely - Pentrebane - Heath Hospital - St Mellons and Llanrumney) stop at UWIC on Colchester Avenue. Busses from Cardiff town centre which stop nearby on Newport Road are 44/45 (Central Station - St Mellons) and 49/50 (Central Station - Llanrumney). By car - All three entrances to the Reserve have adjacent on-street parking. Two entrances to Howardian LNR are located next to the David Lloyd Leisure Centre on Ipswich Road, close to Newport Road where there are a wide range of leisure and retail facilities. Colchester Avenue Allotments are adjacent to the Hammond Way entrance to the site and The Howardian Education Centre is nearby. A Nature Trail booklet in English and Cymraeg illustrated with drawings by Dr Mary Gillham MBE was produced by the Friends of Howardian Local Nature Reserve and the City of Cardiff Leisure and Amenities Department in 1996. III. Exploring along the Rivers Rhymney and Roath. Written and illustrated by Dr Mary E Gillham, pages 195 to 217 are devoted to "The Howardian Nature Reserve between Roath and Rumney". Published in 2006, 466 pages, ISBN 9 781904 323112 by Dinefwr Publishers, Rawlings Road, Llandybie, Carms. SA18 3YD. This book and the others of the Cardiff Trilogy are avalable from Cardiff Council Library Service. The Nature Diary Of an Octogenarian. 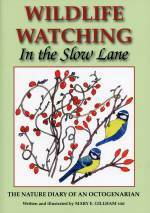 Written and illustrated by Dr Mary E Gillham MBE, pages 426 to 429 are about Howardian LNR and the Dormice which were found in 2008. Published in 2009, 430 pages, ISBN 9 781906 551186 by Ryelands, Halsgrove House, Ryelands Industrial Estate, Bagley Road, Wellington, Somerset TA21 9PZ. This book and others by Dr Mary Gillham MBE are avalable from Cardiff Council Library Service. Rhymney Trail - Cardiff Council has developed a footpath and cycle trail along the River Rhymney. It's now possible to start on the foreshore and follow the route to Llanederyn village. 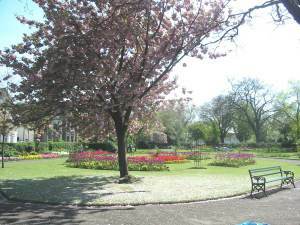 Waterloo Gardens and Roath Mill Gardens are two fine examples of Edwardian parks.